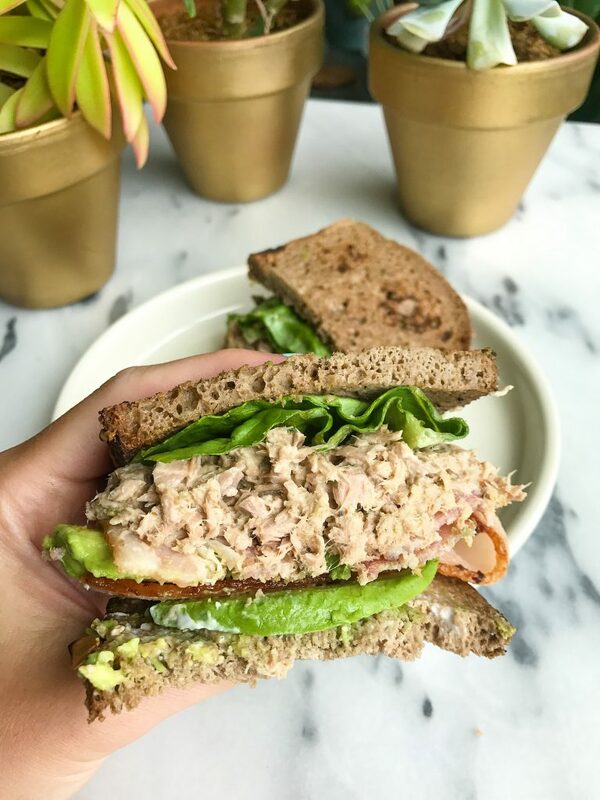 Crispy Bacon Avocado Tuna Club Sandwich for a twist on your usual Turkey Club Sandwich! All I have to say about this Crispy Bacon Avocado Tuna Club Sandwich is HOT DAYUM! This sandwich is LIT you guys. It is seriously one of the best sandwiches I have ever eaten in my life and took approx 5 minutes to make. Ever since I tried bacon for the first time in 7 years back in May (lolz) I have been hooked. I get nitrate free/organic at the grocery store and eat pretty much any type. Turkey, pork, anything! I always think of turkey club sandwiches when I make bacon because when I was younger those were my JAM. Yup, those three layer turkey sandwiches were my go-to anytime we went out for dinner. Sans mayo and tomatoes though because I was never a fan (and still can’t stand real mayo and tomatoes). My new favorite type of club sandwich though is this Crispy Bacon Avocado Tuna Club Sandwich. 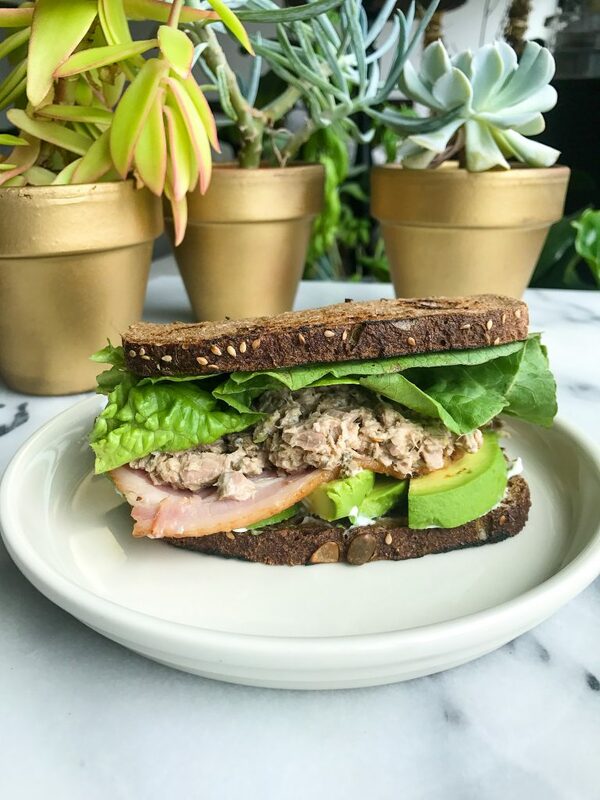 Tuna plus bacon plus avocado plus avocado mayo and lettuce on crispy bread is AMAZING. The tuna and bacon combo is surprisingly amazing and I was itching for another sandwich when this was gone. My mom always used to get chicken salad with bacon from diners and this totally reminds me of that too. 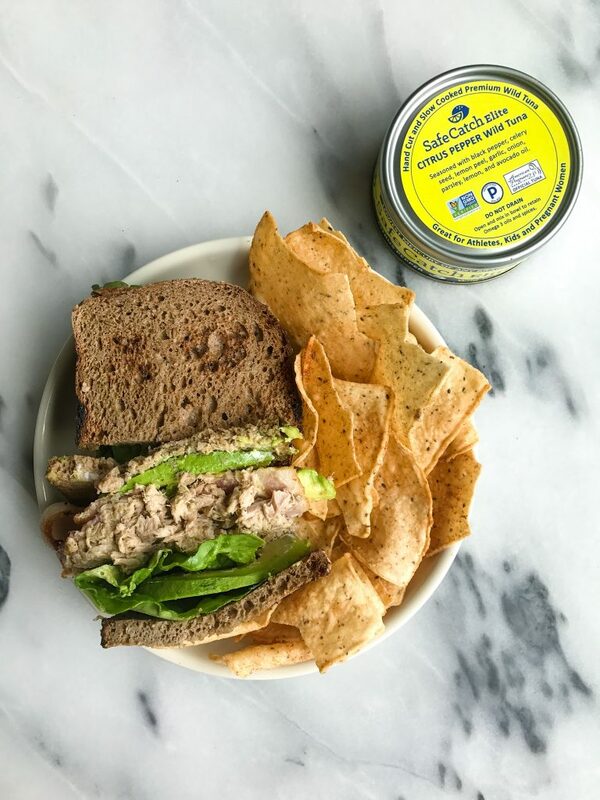 I used Safe Catch tuna for this sandwich (duh). It is the only canned tuna I eat. It is low in mercury so I feel safe eating it. They are the ONLY brand to test for mercury and their tuna tests as low in mercury as salmon, which is straight up amazing. They are hand cut tuna steaks and are slow cooked to flipping perfection. I personally am boring and use their no salt added one the most but I do have to say their new seasoned ones are pretty delicious. Especially the citrus pepper! Thank you Safe Catch for sponsoring this post. It means so much to me to work with brands that I love and who support rachLmansfield! Uh…..I am DYING for this sandwich after reading this. Hello. Must make this pronto!